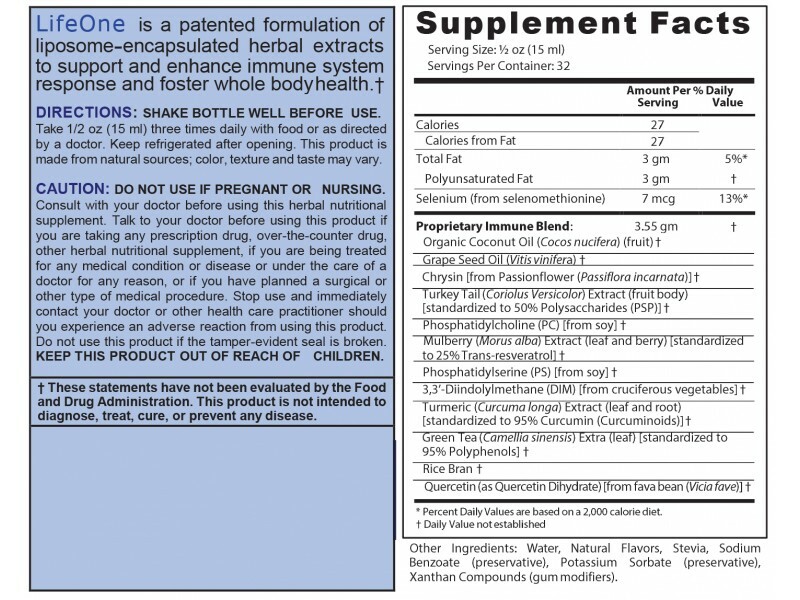 The Life One Formula is a Patented proprietary compound of natural plant extracts in a liposome base. 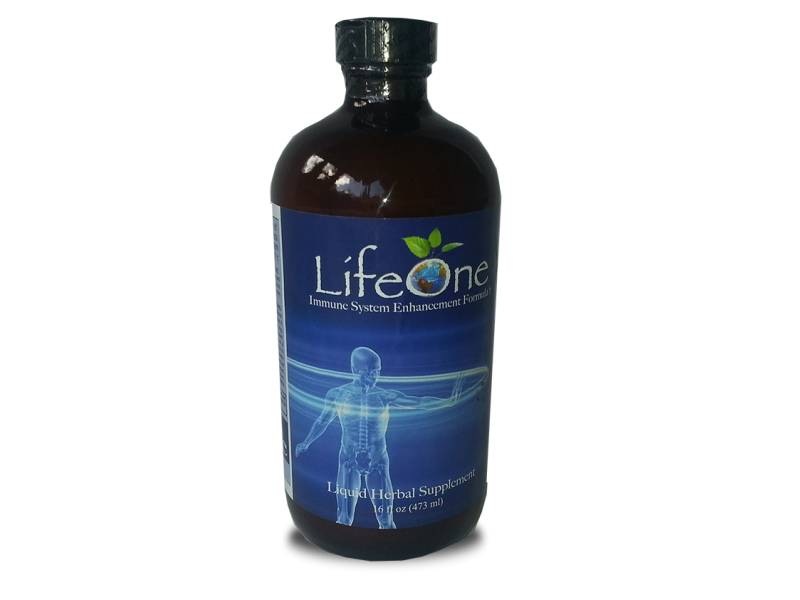 Life One Formula is designed to aid your body's immune system. Your immune system is critical in allowing your body to fight illness. No product made is more powerful than your own healthy immune system. The Life One Formula has proven to be effective at building a healthy immune system. Life One Formula is an all natural herbal blend designed to enhance the Immune System. The Patented Life One Formula will help the immune system fight problems more effectively. The Life One Formula has proven to be of benefit to your body's immune system.Each bottle is 16oz.